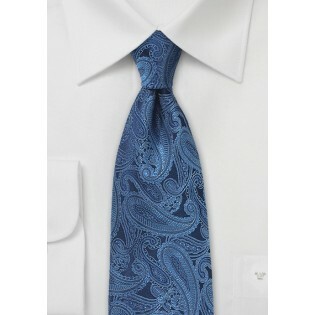 Trip on the power of this large scale paisley silk tie in sapphire blue. 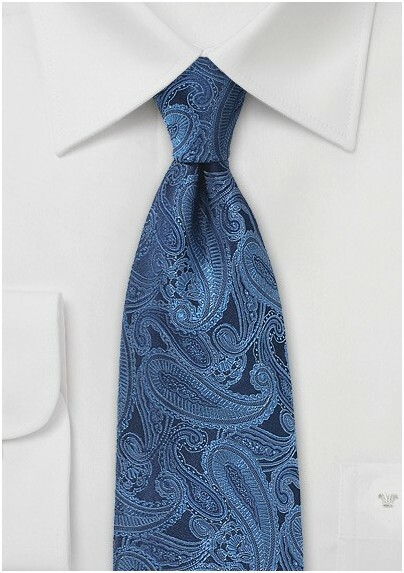 The sensational combination of flowing paisley design, and captivating colors make for a tie that will elevate the interest of any outfit. Wear it to the office with your best workday suit, or out on the town in a pair of green pants, and a faded black shirt for a trendy appearance sure to attract all the ladies. The fact that's it's made from 100% silk won't hurt either, as everyone will want to touch this alluring accessory.